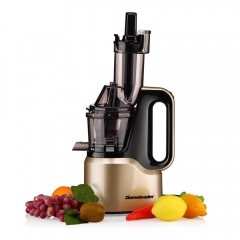 DESIGNED FOR SIMPLE AND POWERFUL USE: 400W, 3 speeds (low,medium and high) for all your blending tasks-blend, mix, whip, puree and chop. The soft grip handle offers a non-slip and comfortable grip when continuously blending ingredients. EASY OPERATION AND HOOK STORAGE: Removable stainless shaft and sharp blades to make the job done perfectly. Detachable attachments and hook for easy storage and easy-cleaning. MAKE IT MORE NUTRITIOUS AND HEALTHY: Besides juice, you can blend whatever you like, fruit juice or vegetable juice and so on. Add some nuts to make it more nutritious and healthier. 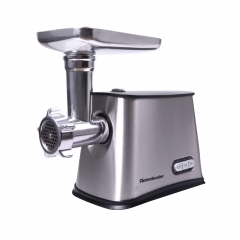 The Homeleader K39-37 hand blender has simple speed control mechanism enables you to prepare your food with one hand for maximum convenience. 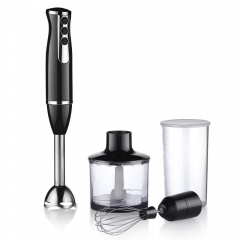 Let's you blend, crush, chop, puree and whisk.It can be easily changed with no tools required; Simply twist off and on to switch from one bell blade assembly to another. 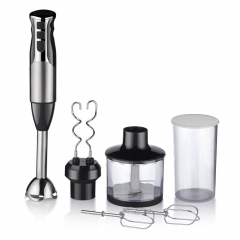 The whisk attachment can be used to quickly whip egg whites to fluffy peaks and cream or emulsify vinaigrette and mayonnaise.The blender is small enough to fit anywhere,but powerful enough for the toughest blending tasks, it has an attachment for any need. 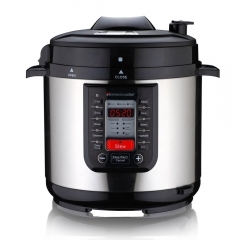 · DESIGNED FOR SIMPLE AND POWERFUL USE: 800W, 3 speeds (low,medium and high) for all your blending tasks- blend, mix, whip, puree and chop. The soft grip handle offers a non-slip and comfortable grip when continuously blending ingredients. · EASY OPERATION AND HOOK STORAGE: Removable stainless shaft and sharp blades to make the job done perfectly. Detachable parts and hook for easy storage and cleaning. 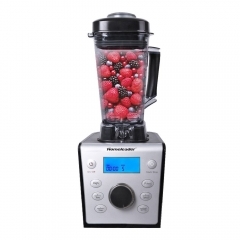 · MAKE IT MORE NUTRITIOUS AND HEALTHY: Besides juice, you can blender whatever you like. Add some nuts to make it more nutritious and healthy. · DESIGNED FOR SIMPLE, POWERFUL USE: The whisk attachment can be used to quickly whip egg whites or cream to fluffy peaks and emulsify vinaigrettes and mayonaise. With the Homeleader easy-control design and quick one-click attachment release, your new hand blender will quickly become the best kitchen helper you've ever had. · RELIABLE AND FRIENDLY CUSTOMER SERVICE: Always be ready to respond within a 24 hour time frame. 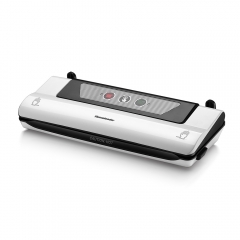 30-day money back guarantee, 12-month replacement warranty and lifetime support guarantee. 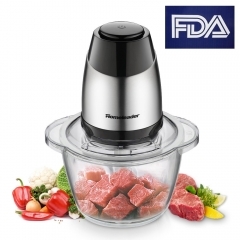 The blender is not intended for blending hot liquids and frozen solid ingredients.For liquid ingredients, do not fill the containers to their maximum capacity. 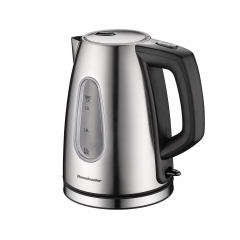 Overfilling the Cups could result in spillage, causing burns and/or property/product damage. It is recommended to chop ingredients into smaller portions before freezing, and then allow the ingredients to defrost slightly before mixing. Large frozen solid ingredients may damage the cups. Crushed Ice is recommended instead of solid ice cubes.